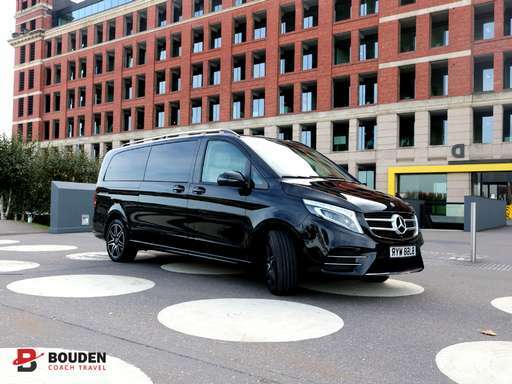 Transporting sporting teams on our coach hire and minibus hire services is something we get extremely excited about here at Bouden Coach Travel. We are very proud to say we have sporting teams travel with us frequently who are all returning customers. A few of these teams include MK Lightning (CLICK HERE to take a look here at what happened when our team went to go and watch MK Lightning play), Birmingham City Football Club, Birmingham City University Sports Teams, Leicester Lions and Derby University Sports Teams. We have many different sporting teams use our coach hire and minibus hire services frequently, from football teams, ice hockey teams, school sports teams, rugby teams, dance troupes, netball teams, basketball teams as well as fans, athletics teams and many more. In 2017, we even had the pleasure of transporting over 3000 football fans to the Checkatrade Trophy final at Wembley Stadium using our coach hire services, picking them up from Coventry City Football Club and efficiently transporting them all the way to London. If you’re looking for sporting team transport call us on 0800 112 3770 or send your requirements to [email protected] it would be our pleasure to accommodate you and your team for your sporting team fixtures. We have a vast fleet of vehicles on hand ready to take you and your team to your chosen destination. Our fleet consists of 12 seat, 14 seat, 16 seat and 19 seat minibuses to hire, as well 24 and 33 seat midicoaches. Our fleet also has full sizes coaches ranging from 49 seaters, 52 seaters and 72 seaters, call us on 0800 112 3770 for a quote on your sports team fixture transport today! Here at Bouden Coach Travel we have vehicles to suit all budgets for sports fixture coach hire, you can choose from our three vehicle classes. Standard vehicles are used for simple A to B journeys, they are cost-effective and are great for journeys where luxury facilities are not necessary. Our executive vehicles are our most popular form of transport for sports team fixture coach hire, if you’re looking for something with a little style and comfort for your journey, but still cost-effective our executive vehicles fit the bill. Last but not least is our luxury vehicle option, they will surely provide the wow factor you’re looking for, they are also surprisingly affordable given their amazingly high standards. They come complete with leather interior, CD player, DVD Player, TV, tinted privacy glass and fully stocked fridges perfect for sports team fixture coach hire.